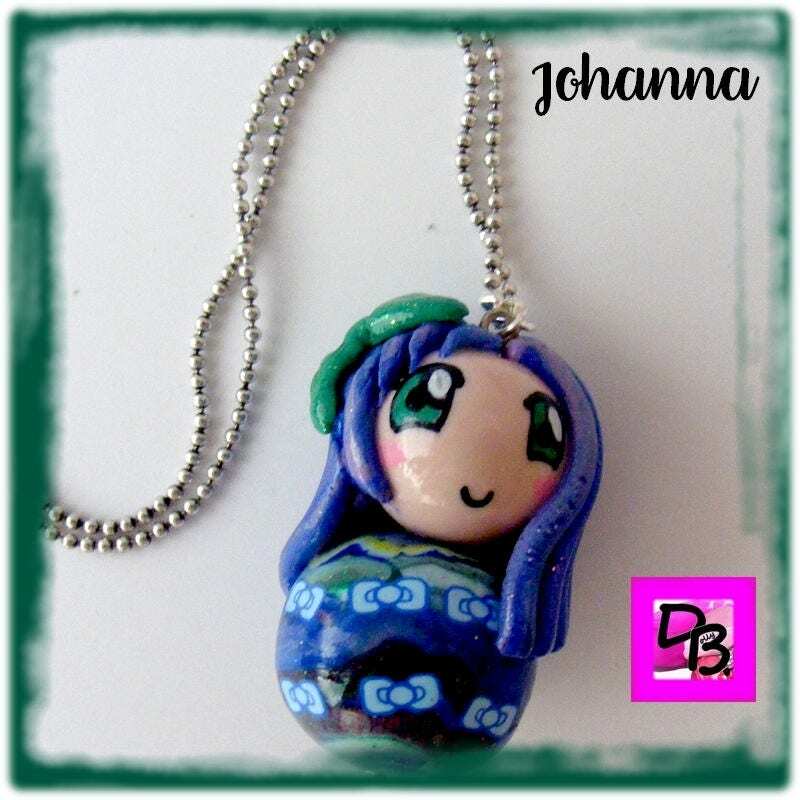 Small unique gift for a young girl. 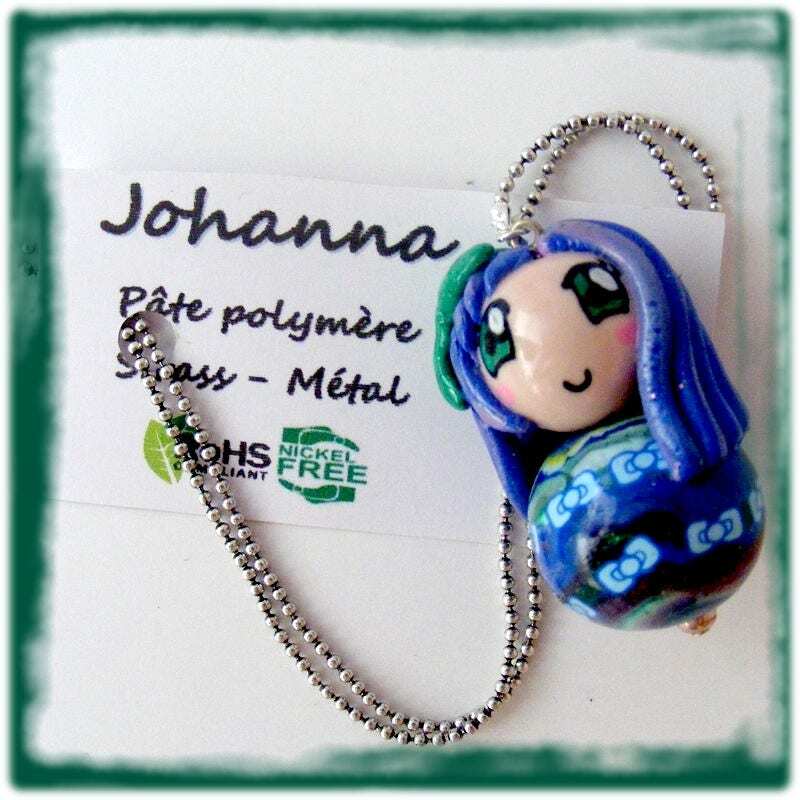 Johanna was made entirely with polymer clay. 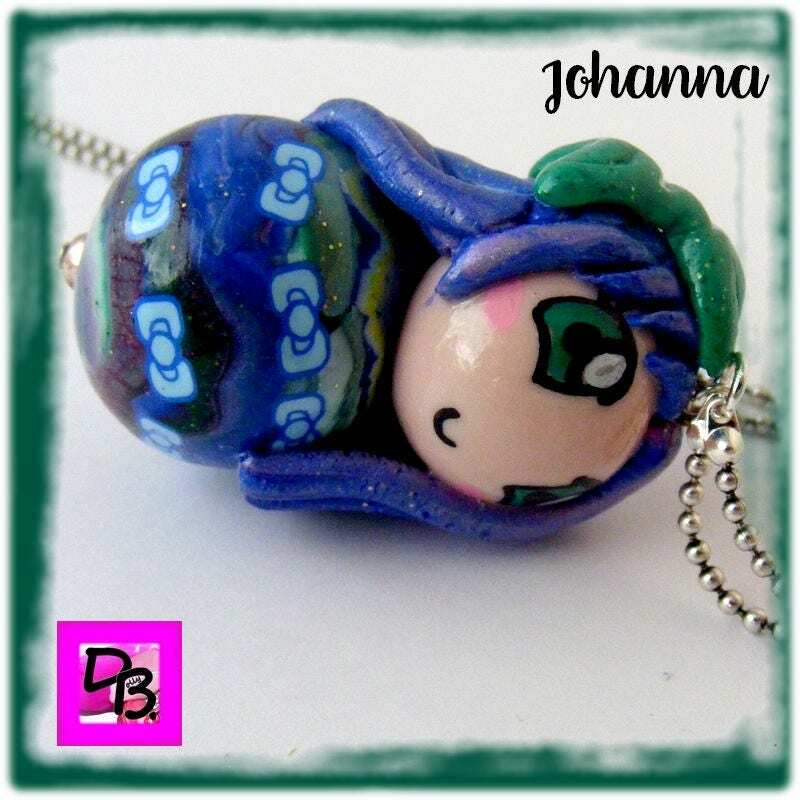 A round head, long blue hair, big green eyes painted by hand, a pretty Green bow, splatters canes on the body. 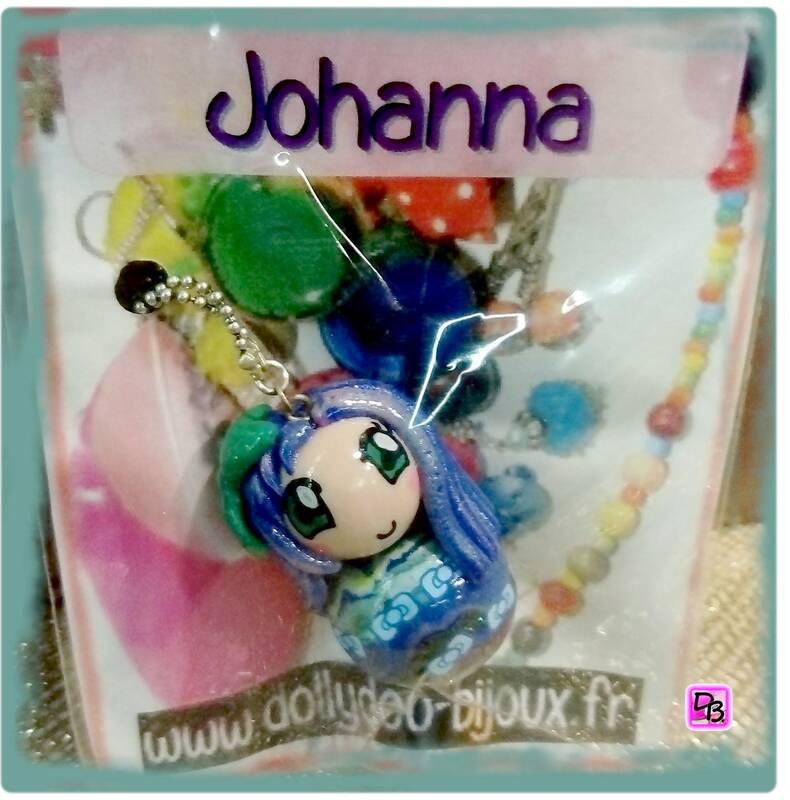 The whole gives this Manga Johanna little sweet, smiling face. The two beads that serve as support to the head and body are created independently, baked, sanded, and assembled on a rod for maximum strength. To finish, ceramic glaze DARWI brand high strength. All metal parts of this necklace contain lead, nickel or cadmium, or chrome or mercury, the European RoHs standard. 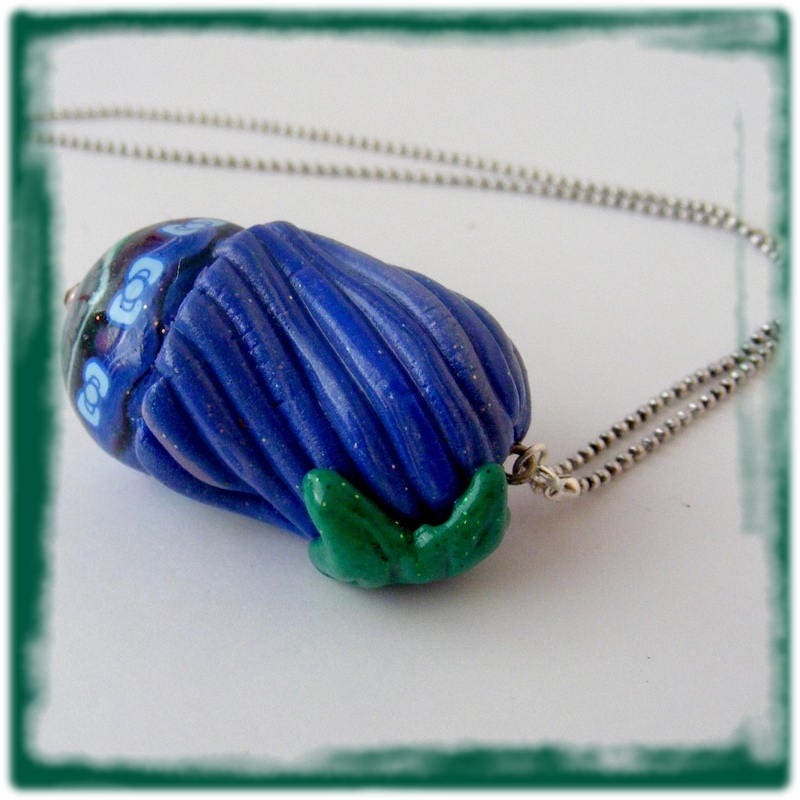 This necklace will arrive ready for gift giving in a pretty pouch.